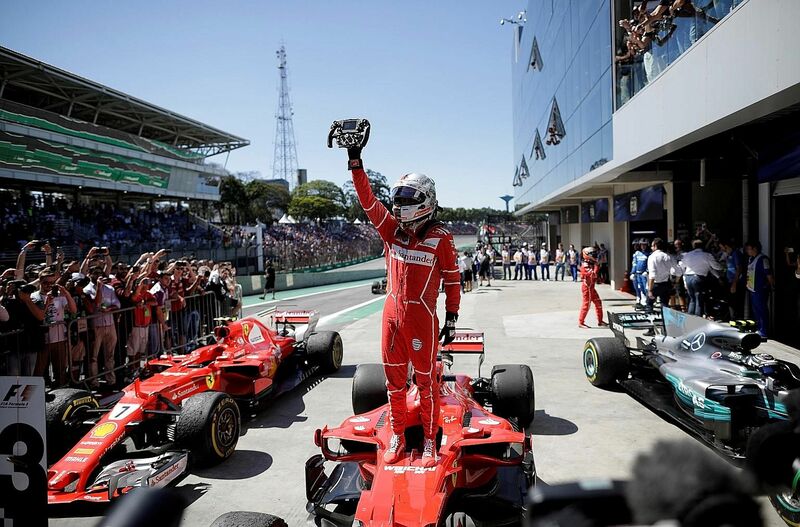 Sebastian Vettel's victory in Sunday's Brazilian Grand Prix was his fifth in their best season since the turbo-hybrid era began in 2014, and their 230th overall. Founded in 1929 by Enzo Ferrari, they first entered Formula One in 1950 at Monaco, round two of the new world championship that began at the "royal" British GP at Silverstone. Ferrari did not enter that inaugural event following a disagreement over starting money. It was a shape of what lay ahead. Fast forward to 2017. F1 owners Liberty Media and the governing body FIA's revelation in the week after Mexico of their plans for engines from 2021, prompted a threat from Ferrari chairman Sergio Marchionne that Ferrari might withdraw from F1. It was the talk of the paddock in Brazil. This sort of autocratic behaviour was nothing new in Enzo Ferrari's day. It was his habit whenever something didn't sit well with him. Such threats rarely amounted to anything, though construction of an IndyCar in 1986-87, and the possibility that Ferrari might go and race in America instead, secured a new lease of life for their beloved 12-cylinder engines. This latest threat, however, we are told, could be much more serious. Marchionne is known to believe that it would be much better for the bottom line of Ferrari not to race in F1, which made many rivals laugh heartily. As the sport's longest-established team, they receive a "historical" payment believed to be around US$100 million (S$136.2 million) even before their new car first turns a wheel each season, thus helping to make F1 a much more cost-effective proposition than it is for anyone else. McLaren and Williams received similar, but lesser, payments, as agreed when Bernie Ecclestone was in charge. The other bit that sticks in the craw of everyone who has an interest in fair play is that they were given a veto on technical matters that did not suit them. Name a single other sport in which such a thing is tolerated. Could you image if Manchester United had been granted something like that back in the days of Alex Ferguson? The biggest truism at the heart of motor racing is that nobody is bigger than the sport. That any sport can survive after losing heroes such as Jim Clark, Gilles Villeneuve and Ayrton Senna proves that point. Those are two reasons why Ferrari have been less than popular in the paddock in recent years. In concert with their woefully limited media outreach, arrogance is not attractive. A withdrawal would undoubtedly hurt F1, for the marque's carefully nurtured "charisma" has long had a huge appeal to fans. It represents aspiration personified, and those who are unable to afford the huge price of such exotic machines tend, the world over, to be very happy to bathe in reflected glory by purchasing branded merchandise. Of all the teams, Ferrari are the ones who most represent the sport. But the biggest truism at the heart of motor racing is that nobody is bigger than the sport. 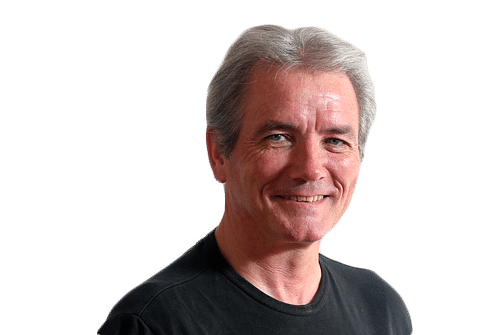 That any sport can survive after losing heroes such as Jim Clark, Gilles Villeneuve and Ayrton Senna proves that point, no matter how brutal and unfair it might be. Nobody. No team, no manufacturer. If Ferrari want to prance away from F1 based purely on their reaction to the new democratically discussed proposals for the new engine formula, what will they do when their rock hits Liberty's hard place over future financial negotiations? Getting rid of that US$100 million historical payment is seen to be also part of Liberty's plan of levelling the playing field, and generating a more equitable distribution of F1's wealth. So who holds the high cards? Well, what else could create such a great advertising medium for Ferrari, who do no other real publicity than racing? IndyCars? Not unless they rebadge a Dallara chassis or a Chevrolet or Honda engine. Nascar? Formula E? Hardly the right images or demographics. World Endurance Championship? Perhaps, but one Le Mans success is a publicity pittance compared to an F1 season. Interestingly, their share price dropped after Marchionne issued his threat.